This is a favorite saying of mine that a dear friend and longtime training buddy Dr. Robert Weatherwax has been saying for decades. Think about this statistic, in 2010 there were an estimated 75 million American individuals on some form of a diet and the total expenditure for these diets was $60.9 billion (with a B!). By 2014, the weight loss market grew to an estimated $586.3 billion dollars globally. Now think about this, how can an industry continue to grow each year, when the industry itself is about losing weight – this number should be decreasing each year, just like the individuals are on these popular diets and medical systems? Here is the truth of the matter – the way to lose weight long term is so simple, the diet companies and medical system centers don’t want you to “learn” how to keep weight off long term because then you will not fail and keep coming back. 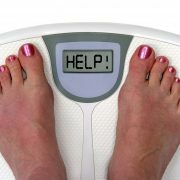 Tell me if this doesn’t sound familiar: You get to a point that you don’t like your weight, size and low energy levels. For the sake of this example, let’s say that your weight is 200 pounds. You tell yourself (or you have been convinced by extensive marketing/advertising) that you cannot accomplish your desired weight, size and energy levels without their special diet or medical system, so you join the “X” Company program/system and you are on your way to long term weight loss. You follow the program religiously and over the next four to six weeks, you lose the “weight” (usually between 8 and 15 pounds); however, you are constantly hungry (because you must follow strict food consumption), you have headaches and you are not sleeping too well. Your pre-diet conditions (night sweats, interrupted sleep, loss of libido, and craving of simple sugars) continue to persist, but you are content that the scale is telling you that you are losing weight. By the eighth to tenth week, you are finished eating like a bird, feeling lethargic and work up the courage to leave your safety net of your diet or medical system to solider this alone. Note: you have reduced your “weight” from 200 pounds to 185 pounds; you are proud of the weight loss and tell yourself that you are determined to get back to your high school weight of 170 pounds. So you transition from the diet makers boxed food items, canned drinks, bars and appetite suppressing shots to the real world’s meal and snack items. And sure enough within two weeks, you have put back on five to ten pounds of the weight that you lost. The first thing that comes to your mind is, “I can’t lose and keep the weight off without my special diet or medical system”. The diet company and/or medical systems have you in what is called the Endless Loop of Despair: they have you convinced that you are not capable of losing the weight and keeping it off unless you are under the instruction of their products. THIS IS NONSENSE, YOU ARE CAPABLE OF LOSING WEIGHT AND KEEPING IT OFF, YOU JUST NEED TO BE TAUGHT THE TRUTH ABOUT WEIGHT LOSS. Here is THE simple “trick” to the high protein, low carbohydrate diet: when you eat carbohydrates (breads, pasta, fruits, vegetables, essentially anything that is not protein) your body converts the carbohydrates into glycogen and stores this sugar in your muscles and liver for energy. In order for your body to store one gram of glycogen (stored sugar), your body stores 2.5 grams of water. Think about this strategy: no carbohydrates, no retained water – you lose 10 pounds in a week! There it is short and sweet – no carbohydrates, not water retention you are lighter. The problem: you have not lost any body fat, just water weight! After you begin to cut calories, your body will go through a process of sourcing energy: stored sugar from the liver and muscles, then protein from muscles and then body fat. On a low calorie diet, protein intake is normally limited –when your body doesn’t receive adequate amounts (or quality) of protein, it will begin to cannibalize (or “eat”) your muscles for energy. It is easy to tell when this is happening, your urine is dark yellow and you can smell the uric acid & ammonia which is a by-product of breaking down the muscle for energy. The problem: you have not lost any body fat, just lost muscle mass! If your body is not consuming enough calories, the body will switch into the “preservation or survival mode”. The body sends messages (headache, belly grumbling, moody, etc.) to your brain that it needs more calories than it is receiving and when you ignore these messages, your metabolism slows down (usually within 1 to 2 weeks) to match your caloric intake. After you have slowed your metabolism down, anything that you consume over and above your “low calorie” intake is converted to fat -here is the reason why. A calorie from fat yields 9 calories of energy (carbohydrates and protein yield 4 calories of energy); when your body is in preservation mode it is looking for the greatest amount of energy from your body – this comes from either fat (9 calories) or stored sugar or protein (4 calories). When you decide that you are tired of constantly being hungry, experiencing low energy and having chronic headaches, you leave your low calorie diet or medical system and you go back to eating real world food and snacks. The problem is you go from (as an example) consuming 750 calories to 1500 calories and these “extra” 750 calories are immediately converted to fat because your body is stuck in preservation mode. This is why you jump from your end of diet/medical system weight of 185 to 205 pounds – now you are heavier than you were before you started your diet/medical system program! Welcome to the trials and tribulations of the yo-you diet and you begin to believe that you can’t “maintain” your desired weight without a diet program or medical system. The problem: you have not lost any body fat; you have actually triggered your body to convert everything you consumed to stored fat (because it thinks you are starving it)! Exercise can serve your body in two ways: as a stress reliever or as a creator of stress; the only element that creates the distinction is the level of stress that the exercise has on your body. When you exercise too hard (relevant to your personal max heart rate number) and/or for too long in duration, your body perceives this as stress and adapts to this exercise as it does any other stress – it dumps a hormone known as cortisol into your blood stream to handle the stress. Unfortunately, cortisol acts as a fat magnet in your body causing you to gain weight even when you are exercising consistently. What compounds the stress of exercise is when the body is lacking adequate quality and quantity of sleep & calories, lacking adequate stored sugar levels and is dehydrated (are you beginning to see a trend here?). The problem: you have not lost any body fat, instead you have exercised yourself into gaining more weight! When you exercise, you should be finishing each session feeling strong and full of energy – actually more than when you started. If you are struggling to finish a workout, you are not taking in enough calories and/or enough carbohydrates (dense breads, fruits and vegetables). Ironically, you burn fat more efficiently when your blood sugars are stable during exercise. If you feel sleepy or sluggish within 20-30 minutes of eating, you may have sensitivity to certain foods types or ingredients. The problem: not consuming enough calories negatively effects the quality of your exercise efforts and limits your ability to burn fat. One of the big four indicators of adrenal fatigue are the craving of simple sugars (Note: the other three indicators are night sweats, interrupted sleep and loss of libido all of which will be addressed in another report). This behavior (yes it is a behavior), occurs as a result of low essential fatty acids being consumed in your daily eating. Essential fatty acids (EFA) are sourced from cold water fish, avocadoes and extra virgin olive oil – when your body is low on EFA’s, a negative by-product is the overwhelming cravings for simple sugars. The beauty to consuming cold water fish, avocadoes and extra virgin olive oil is that your body will either use the calories as fuel or pass it as waste – not depositing of body fat! The problem: experiencing adrenal fatigue will cause you to crave simple sugars to the point that it will feel like an addiction. https://www.completeweightlosssolutions.com/wp-content/uploads/2018/11/scale_small.jpg 995 1500 admin https://www.completeweightlosssolutions.com/wp-content/uploads/2018/10/weightloss-white.png admin2018-11-07 16:55:452018-11-07 16:55:45If Diets Worked - Everyone Would Be Thin! Health Benefits: they add anti-inflammatory compounds that fight soreness. Although you know good nutrition is like quality fuel for your car, spending a few extra dollars for high quality fruits and vegetables can be a difficult habit to adopt. These 5 tips can help meet the needs of both your body and your budget. How important is good nutrition to your health ? Answering these questions will help you determine how much money you are willing to invest in your food on a weekly basis. Once you decide that your health is worth investing in, you’re buying and eating habits will change accordingly. Set your weekly schedule so that you visit the grocery store on specific days: ideally Tuesday and Friday. Block out time in your personal schedule to wash, dice and package your food into tupperware or baggies. 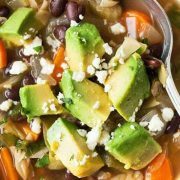 Write the specific day and whether it is breakfast, lunch or dinner on each package and store in your freezer or refrigerator. The convenience of grab and go packages will increase your intake of high quality fruits and vegetables by 100%. It is rarely the lack of desire to eat healthy, but rather convenience that drives you to fast food. You have taken the time to purchase & prep your food, now you have to sit down and eat the food! Just like the time that you carved out of your schedule to purchase and prepare your food, you now need to block out time to sit down and consume your food. Digestion begins inside your mouth. By sitting down and avoiding any distractions (TV, iPhone, computer, etc.) you will chew your food more completely making digestion easier inside your stomach which results in higher absorption of nutrients and water in a shorter period of time (because the food pieces are smaller and easier to break down). You have been lead to believe that the dollar menu at a fast food chain is “cheap” eating. Well the marketing is both right and wrong. The food is cheap when you look at the quality – some fast food restaurants use meat quality that is so low, it literally says “Safe for human consumption on the boxes”. However, it is NOT cheap when you add up all the add on features to a combo meal, on average you spend nearly five ($5.00) dollars per person every time you run through the fast through line and what you purchased is gone in ten minutes or less. If you headed to your grocery store and purchased $5.00 worth of fruits and/or vegetables, you will be consuming both a high quality food item along with purchasing a lot more food. Now when you spend $5.00, you are getting both “good food” and “good quality” for the same $5.00 that can last you through two or more meals. There’s nothing frustrating than finding out that you’ve been spending your money on high quality fruits and vegetables that you thought were healthy, only to find out that they are not. Many labels use terms like natural, raw, and whole wheat; however, they are not regulated and can be used to sell products at a higher price. By reading labels you can determine which foods live up to their labels and which are just clever marketing. When your blood sugar is low (i.e. hungry), your ability to make rational decisions is gone. When you shop in this mental state, you are more likely to purchase items you normally wouldn’t (or shouldn’t) resulting in a higher food bill with lower quality. 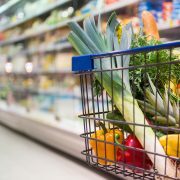 While shopping with a full stomach of high quality fruits, vegetables and low fat protein while purchasing ONLY the items on your shopping list will result in a lower food bill at the checkout register. When you get home, your refrigerator is stocked with exactly what you need to prepare your high quality meals and snacks. Whether you completed the challenge to drop some body fat or to improve your strength to weight ratios as an athlete, congratulations on finishing your 14-day food challenge! As you can see (and feel), the influence of food on your body is absolutely incredible. The key to eliminating negative symptoms in the future is being aware of what you are consuming (solid foods and liquids), how much you are consuming, when you are consuming them and how your body responds to the food & liquid 20-30 minutes after eating. Here is where I will inform you of the highly technical component of what you did over the last 14 days: you have stabilized your blood sugar levels. Think about it, you have consumed foods and fluids that don’t increase your blood sugar levels quickly (along with a burst of insulin) and as a result your body has become less dependent on simple sugars (this is also known as a low glycemic meal strategy). It is that simple! Notice that there wasn’t anything to purchase (unless you found that you weren’t consuming enough high quality fish or protein); instead the food recommendations were based on raw fruits & vegetables and clean sources of protein – real food that you can easily find at your local grocery store or farmers market. Result #1: Your symptoms have decreased by 70% or Less In this situation, you know that the food selection & quality is correct, you just need to continue with your current way of eating. Keep in mind that your symptoms are a residual result of your eating & exercise habits over many years; though it will not require the same amount of time, you will need to stay consistent (with selection, consistency, quantity and quality) to replenish and re-balance your body with essential vitamins, minerals and protein to eliminate any deficiencies. Result #2: Your symptoms have decreased by 80-90% In this situation, you have provided your body the calories (carbohydrates, protein & fat), along with vitamins & minerals it needed to address & eliminate your symptoms. Continue this process indefinitely until you are satisfied with the amount of items you have verified interacts with your body in a healthy and positive way. Ironically, you may find that you have certain sensitivities that are outside the mainstream categories such as: carbohydrate intolerant, lactose intolerant, etc. It has been my experience with clients over the years that the combinations of certain food items create negative symptoms, not a single item. It is for this reason that you will want to add only one item at a time to your existing list of food items that you have verified don’t create the negative effects on your mental clarity and energy levels. This is the foundation to your customized nutrition & hydration program! In my world, I live in a world of zero and ones – you are either making progress towards your goals or you are not. If you are on track, we want to know what is contributing to this success: exercise, food, etc. However, if you are not achieving your goals, we want to know what is causing the goals to not be achieved. Notice that I don’t mention the word fail – you are not failing, you are simply not achieving your goals and we will determine what the cause is. Your body measurements will help you see how your body is dropping body fat (adipose tissue) and building lean muscle by body part. This information is invaluable because it provides you immediate feedback into how your body is adapting to both food (quality and quantity) & exercise (intensity, duration and frequency). Set your calendar up to re-capture your body measurements every six (6) weeks so that you don’t let too much time get past you to determine if your nutrition and exercise efforts are producing the results you desire. The same way that you initially went through and “purged your cabinets and refrigerator”, it is time to set your weekly personal calendar up so that you are going shopping for real food every three days. It has been my experience with clients that the lack of time to purchase, clean, prep and pack fresh fruits, vegetables and lean protein sources is the number one reason why people default back to fast food, canned and packaged food items (all of which are loaded in sugar, salt and numerous unhealthy ingredients). By shopping every third day, you will eliminate throwing away spoiled fruits; vegetables and protein along with ensure that you have plenty of high quality food readily available. Throughout the 14 Day Clean Eating Challenge, one of the immediate sensations you will feel is that you are eating frequently (every 2 hours), but yet you are still hungry. The reason for this is associated with the fact that fruits and vegetables don’t contain very little to no protein and fat. Ironically, protein and fat are the only two elements that satisfy your hunger levels. 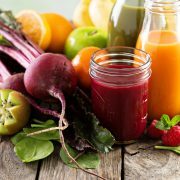 To help satisfy & manage your appetite on a daily basis, mix up this simple smoothie recipe in the morning and make enough to fill up two to three more glasses so that you can consume them as your mid morning and mid afternoon snacks. When you consume your calories in a liquid format, your body absorbs the vitamins, minerals and calories much quicker; because of this, you will notice an improvement in both your energy levels and mental clarity throughout your day. Mix up and enjoy! Exercising too hard: training with a heart rate monitor will ensure that you are using the correct mixture of fat, stored sugar & protein for energy based on your personalized heart rate training zones. Please email me if you don’t know your personalized heart rate training zones and I will send you an assessment program along with a copy of my Coach Robb Heart Rate Training Zones Spreadsheet. Exercising too long: there is a fine line between exercise serving as a tool to reduce stress and becoming another stress in your life (like financial, personal, professional, etc.). If your body is training too hard and too long, it will tap the parasympathetic system and release Cortisol, which is a fat magnet hormone. To ensure that you are not training too hard or long, keep a daily log of your resting heart rate and morning body weight. These two variables will provide you immediate feedback if your exercise is too much for your current state of fitness. Please email me directly for a FREE copy of my Coach Robb Body Analysis Spreadsheet. Exercising too often: identical to exercising too long, there is a fine line between exercising as a stress reducer and another stress in your life. Depending on your personal goals and objectives, your training duration and frequency needs to be adjusted accordingly. When it comes to determining “How fit you are”, you need to look at the combinations of your Body Measurements, Body Weight and complete a few fitness assessments. The goal is to calculate what I call Health or Performance Ratios (depending on your personal goals). General Fitness/Weight Loss: For those of you looking to keep the weight off for your overall health, in the next newsletter I will outline a walking & strength program that I have used with thousands of clients to effectively keep those unwanted pounds off and tone up your entire body in 20-30 minutes a day. Athletic Performance: For those of you looking to improve your athletic ability, I will be launching my new Anatomy of Speed series that will break down each component of performance and teach you what you can be doing to improve your performance while reducing your risk of injury and/or sickness (two negative side effects of training too hard, too long and too often).